LS12 4 is a postcode sector within the LS12 postcode district which is within the LS Leeds postcode area. The Royal Mail delivery office for the LS12 4 postal sector is the Tong Road Delivery Office. 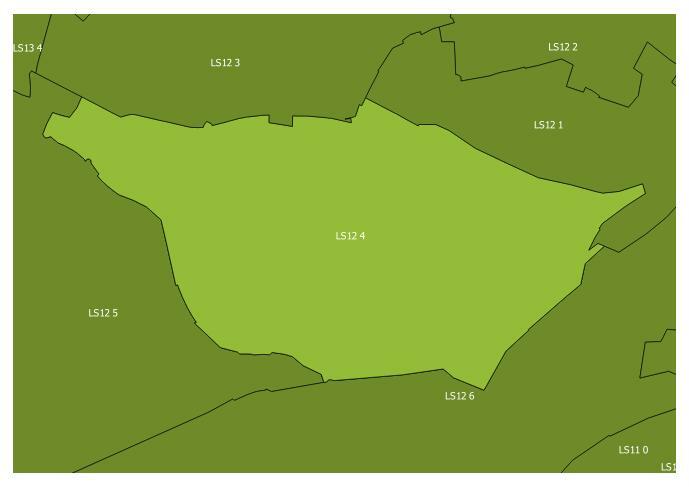 The area of the LS12 4 postcode sector is 0.99 square miles which is 2.56 square kilometres or 632.73 square acres. In the year 2017 there were 386 house sales in the LS12 4 with the average house price being £175,659. Waterways within the LS12 4 postcode sector include the Wortley Beck. The LS12 4 postcode sector is crossed by a railway.